On her day off school Amara Crook did not sleep in or hang out with friends. Instead, Crook wrote letters addressed to President-elect Donald Trump and Vice President-elect Mike Pence. 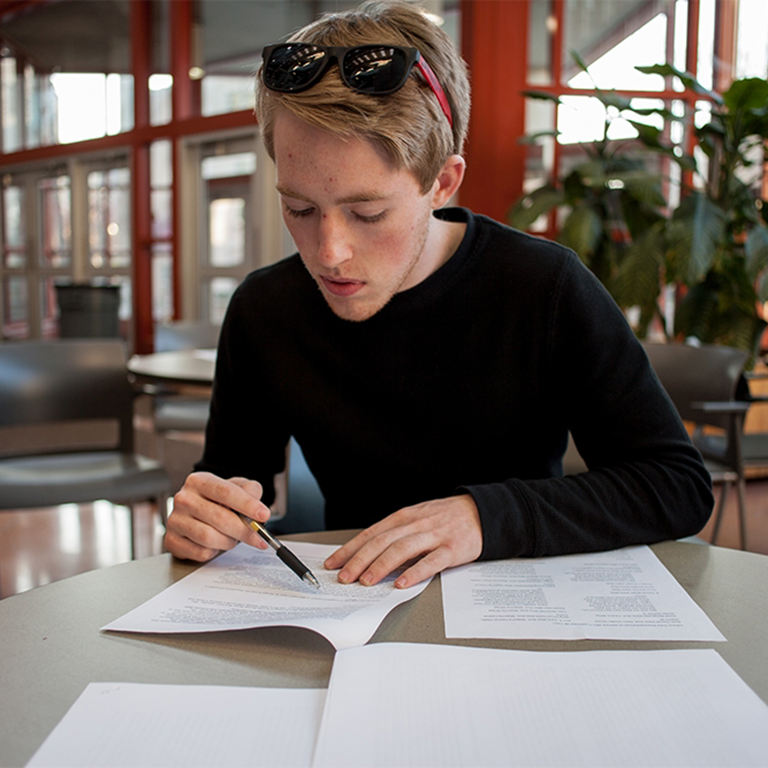 Crook was one of several students and Bloomington community members writing to newly elected officials at the LGBTQ+ Culture Center’s Martin Luther King Jr. Day write-in. The write-in was one of many campus events that took place Jan. 16 to honor King’s legacy through service and activism. The center had stationary with “We the People” written on the top, writing prompts and tips for writing letters to government officials available for participants to use. They also had the contact information for Trump, Pence and Indiana representatives. Crook, a senior at Bloomington High School North, wrote to soon-to-be inaugurated officials about their policies and focused on Trump’s stance on the Affordable Care Act and Pence’s position on women’s issues. She said Martin Luther King Jr. Day was especially appropriate to write these letters because King fought for equality for people in oppressed communities. Crook wrote multiple letters throughout the day. “In order to honor his legacy we must fight for equality where there isn’t,” Crook said. Jamie Bartzel, the LGBTQ+ Culture Center’s office supervisor, said the center offered the event as part of the Martin Luther King Jr. Day celebration and to get people thinking and encourage them to maintain contact with their representatives. She said letters are more personal and attention grabbing than writing to officials on social media. Letters are also a friendly forum to get students thinking about what they want to say, Bartzel said. Another writer, IU sophomore McKenzie Conrad, said she came to the write-in because she thought it was important to get people together to deliver their concerns as a whole. Conrad wrote about women’s rights, the protection of LGBT rights and immigration. Conrad said immigration policy was the most important issue for her because it raised so many concerns during the campaign season. She believes in equal opportunity for immigrants, she said. Crook and Conrad both said Trump and Pence’s election and democratic candidate Hillary Clinton’s loss were part of the reason they decided to write. Conrad said was surprised with the outcome. She said media predictions made people complacent in voting. “It was a whirlwind of shock,” she said. Crook’s, Conrad’s and the other participants’ letters were mailed the day of the event and should reach the President-elect and Vice President-elect in time for the inauguration and start of their new term.